Pyramids of Bosnia: Breaking News: Documentary film wrap! Breaking News: Documentary film wrap! There's finally really good news for all those of you, who can't wait to see the documentary film we've been working on 24/7 over the last couple of months. Postproduction is almost wrapped and we'll put a 12 minute runtime preview online for your consideration. The full 45 minute version will be available on DVD and ready to order within the next two to three weeks. Don't worry, we'll publish the link as soon as the shop's set up. We're also going to submit the film to various international documentary film festivals over the next few months, if only for the fun of it. So, stay with us to find out about public festival screenings and eventual TV broadcasts. 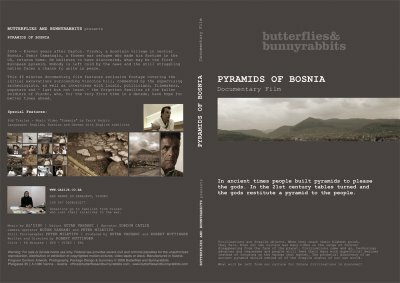 Is it possible to exchange links with us (Bosnian Pyramid), we may promote you well. Just another piece of Sandstone?